Granola is pretty much the best breakfast ever, right? Well, apart from maybe vegan croissants. Or scrambled tofu. Or pancakes. OK so apart from all of those things, it is the greatest. Are we agreed? It’s crunchy, slightly sweet, nutty, fruity, easy to transport, goes perfectly with fresh fruit and yogurt, and on top of that – it’s simple to make! Who would have thought it. You know what makes the fourth best breakfast even better? One secret ingredient: peanut butter. Sigh. Peanut butter. Dreamy, creamy, nutty, salty peanut butter. You go perfectly on top of oats, in a sandwich, on a slice of toast, in a curry – and now, finally, you have met your perfect match. Preheat the oven to 175c. In a small pan melt the peanut butter and milk over a gentle, slow heat for a couple of minutes. Add the vanilla and stir through, before taking off the heat. 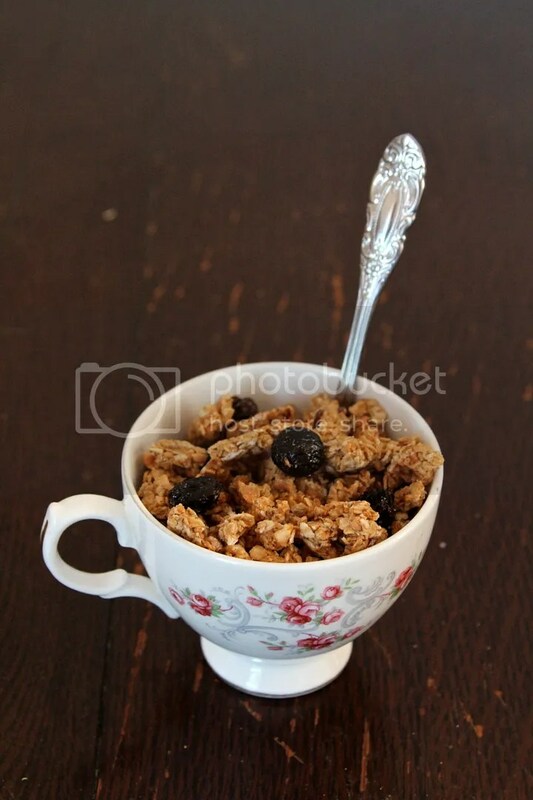 In a large bowl, mix the oats, raisins and pecans together – I broke the pecans in half so that they weren’t too big. Pour your peanut butter mixture over your oats mix and combine – make sure that the oats are evenly coated. Grease a roasting tin with butter (I used a baking tray but this didn’t have high enough sides really, and made stirring during the cooking process a bit tricky) and press the granola into a thin layer – I used my fingers to make sure it was fairly flat and even. Bake for 8 minutes, and stir through. Pop it back into the oven for another 12 minutes, stirring at 3 minute intervals. Remove from the oven and allow to cool completely, before storing it in a clean jar. It should last around a week. Serve topped with blueberries and Alpro hazelnut milk, piled up with fresh strawberries and drowned in Alpro vanilla pouring yogurt, or snack on it straight from the jar. Which obviously I didn’t do. Check out those plump raisins! 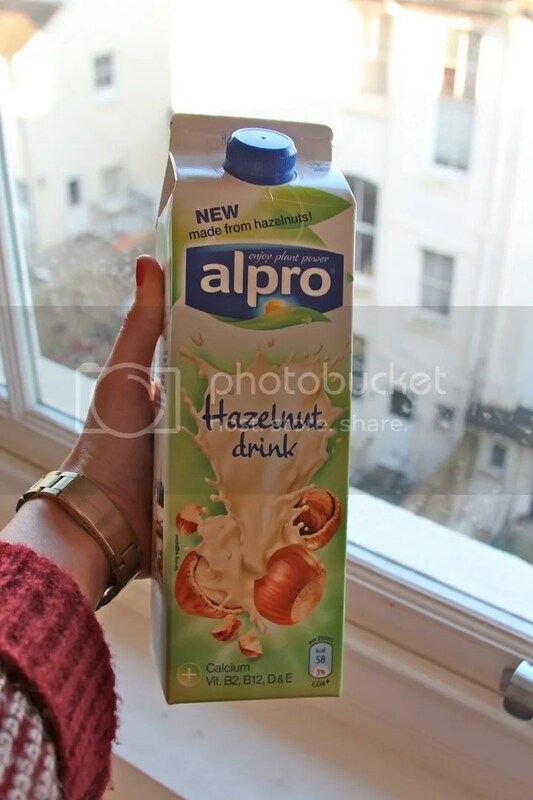 Have you tried Alpro hazelnut milk? Have you made your own granola before? Wow, this looks so delicious! I don’t know why but I’ve never even thought to make granola with peanut butter. I’m hoping to move to the UK in a few months. I can’t wait to try that hazelnut drink. Same! Especially as I always add a blog of peanut butter on top of regular granola, haha. I wish there was an unsweetened version of the hazelnut drink, its too strong/sweet for me! 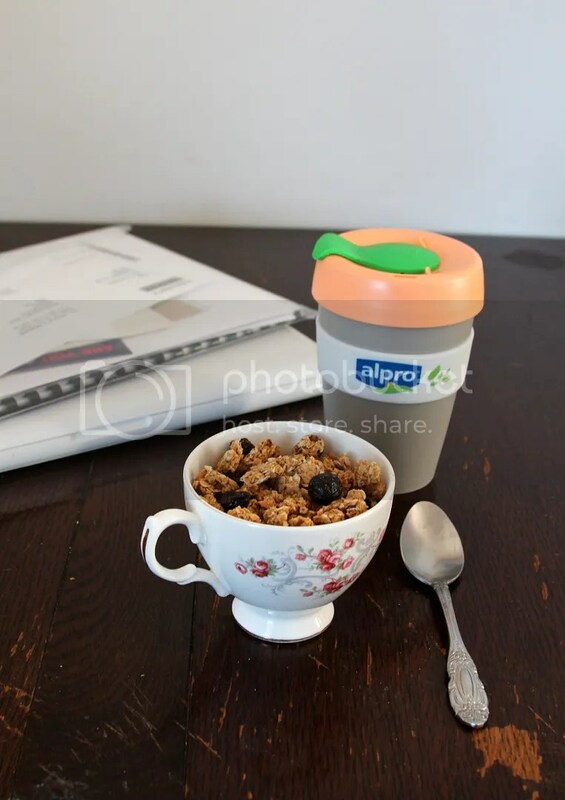 I really enjoyed making my own – I’m a bit wary of packaged granola as it can be full of sugar and really high in fat. I really want to make iced coffee with the hazelnut milk! Hahaha, totally me. I stopped making granola, since every time I finish it in less than a week, simply snacking in between meals. And it also makes me wanna make granola pb cups, and when I have those little goodies in my fridge, mindless snacking goes through the roof. 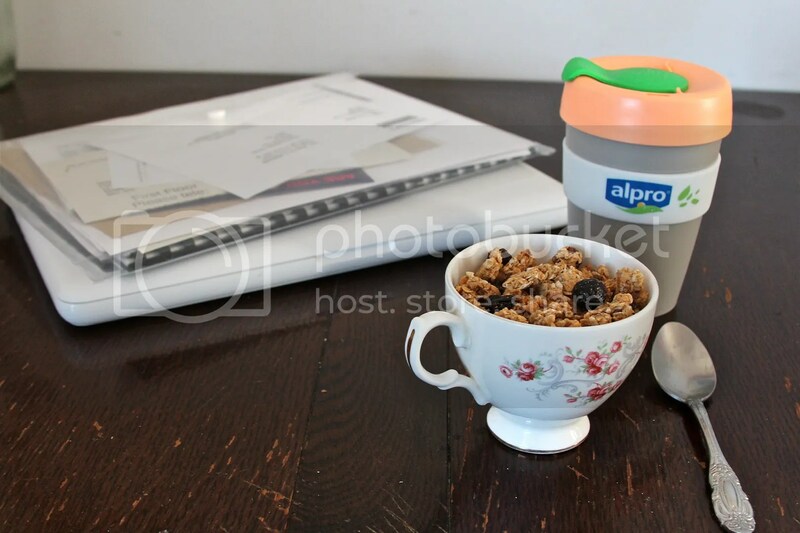 I may or may not have had 3 cups of granola with Alpro pouring yogurt yesterday…. !